For a lot of women, ceramic flat irons have become essential beauty tools that they simply cannot live without. Many of us want to have straight hair that stays in place all day or night; and for the longest time, we had to make do with combing our hair until it straightens or using straightening products to ensure the outcome is exactly the way we want it. In 1909, the very first patented hair straightener composed of 2 flat irons which are heated and then pressed together came out. But these things were rarely available and were accessible only to the wealthy few. Fortunately for women today, commercial flat irons are already widely available and they’re also affordable too. But if you want to have the best outcome for your hair, you must use the best flat irons. Keep in mind that there are hundreds of brands to choose from when it comes to flat irons for hair but not all of them are good for your hair. You have to choose the best hair straighteners with just the right heat so as not to damage your hair type. If you are looking to buy one, make sure to choose only those that have been considered the top flat irons in the market. That way, you can select the good ones from the bad. To help you in your search for the best hair straighteners, we have created a list of the top rated flat irons that are currently available. To come up with this list, we’ve interviewed dozens of women and read tons of reviews online, and then compared notes with other users. 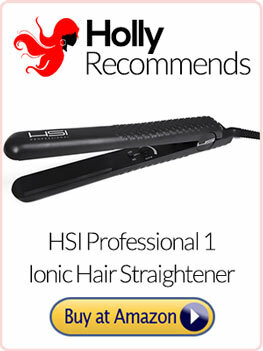 Get the HSI Professional Flat Iron Hair Straightener Here! For straight, shiny and beautiful hair, the HSI Professional 1” ceramic ionic flat iron tops our list. This hair straigtener is a versatile tool which can make any frizzy hair look like it just came out from the salon. It’s made of 100% solid ceramic plates that will give your hair some much needed luster. You can also use its curved and rounded edges to curl your hair. So whether you want silky straight hair or flirty curls, this tool can give you exactly what your heart desires. The nice thing about this flat iron is that you can adjust the temperature. If you don’t like very hot irons then you can lower the temperature or you can go as high as 450 degree F. It has a full swivel cord and an ergonomic design so you will never get tired even if you have thick and long hair. Many users have dubbed this as one of the best flat irons out there and it’s not really surprising when you think about all the features it has. It also comes with a free heat glove, argan oil leave-in conditioner and a one-year warranty. Click Here for the BabylissPRO Nano Straightening Iron! If you’re looking for top rated irons equipped with the latest technology, then you will be happy with the BaBylissPRO Nano Titanium. It’s equipped with the Nano Titanium™ technolgy which enables it to straighten hair faster than you thought possible. This is because it utilizes titanium’s high heat conductivity so it straightens hair quickly and enables it to stay straight longer too. 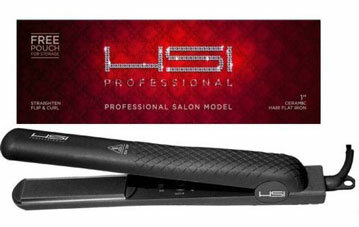 The BaBylissPRO Nano Titanium comes with soft metallic housing that will enable it to endure high temperatures. The housing will ensure your hair straightener will last. Its ergonomic design also provides comfort when you’re styling your hair. One of the reasons why users have dubbed this as one of the best flat irons for hair is the fact that it can also be used to create curves, flips and waves on your mane. So instead of buying several hair styling tools, you’ll only need one. With BaBylissPRO Nano Titanium’s adjustable heat setting, you know you can always set the temperature such that you will not feel any discomfort when styling your hair. 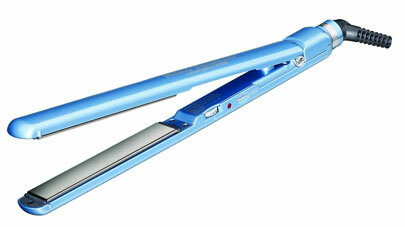 Plus with its lightweight and slim design, you will never get tired using this flat iron. Remington Wet 2 Straight Flat Iron – Now on Amazon! Remington is one of the most respected brands in the hair styling industry. They’ve always been known for providing nothing but high quality products and the Remington S7210 Wet 2 Straight Flat Iron is no exception. This particular product is one of the top rated hair straighteners on the market right now and many women swear by it. The Remington S7210 Wet 2 Straight Flat Iron has Soy Hydra Complex which allows it to dry, moisturize, condition and straighten wet hair, promising to give you the smoothest hair ever. With this straight flat iron, there’s no need for you to blow-dry your hair which is a good thing because blow-drying can cause stress and damage to your mane. On the other hand, when you use this flat iron, your hair will be nourished and moisturized due to the soy protein inflused in the ceramic plates. 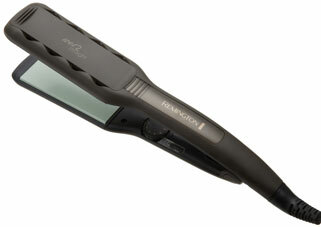 There are 30 heat settings in the Remington S7210 Wet 2 Straight Flat Iron. The highest temperature is 425F which prevents any likelihood of overheating. This tool can provide instant heat in just 30 seconds allowing for quick and efficient hair styling. It also auto shuts in 60 minutes which is an excellent safety feature. 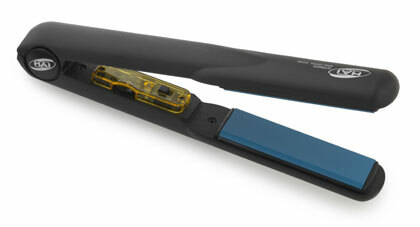 Check Out the HAI Classic Convertible Flat Iron Here! For anyone who’s on a budget, the Hai Classic Convertible Ceramic Flat Iron is the best choice for you. It’s really affordable, going for a great price on Amazon. And considering the fact that it’s one of the top flat irons on the market today, you know you’ll be getting your money’s worth with this tool. The Hai Classic Convertible Ceramic Flat Iron can be used to straighten or curl your hair. It also has adjustable heat settings so if you have thin hair, you can set the temp to just 170 degree F, but if you have thick, frizzy hair you can choose to set it to the highest temp at 390 degree F. As you may have noticed, its maximum temperature is lower than most of the top rated flat irons on this list but that’s alright. At 390 degrees, your hair will straighten easily. The amazing thing about this ceramic flat iron is its ability to heat up really quick. In fact it only takes a maximum of 5 seconds to get to the temperature you want. The Hai classic also has very low levels of EMF which is responsible for disrupting the energy levels in our body. Many hair straighteners out there have very high EMF. Treat Yourself to the GHD Classic 1-Inch Styler on Amazon! Now here’s one hair straightener that was built to impress – the GHD Classic 1-inch Styler. This award winning hair styler will work for all types of hair of any length. It’s not cheap so if you’re on a tight budget then this may not be the best option for you. But you may want to reconsider though because this particular hair straightener can last for many, many years. In fact, some users have been using the same GHD classic hair straightener for over 5 years and have never had any problem with theirs. The GHD Classic 1-inch Styler has advanced ceramic heater technology which ensures the outcome will be shiny, smooth and straight hair. You can also use it to create waves or curves and flips because it has a round barrel design. If you have very coarse and thick hair, and the flat irons you’ve used didn’t give you the results you want, do try the GHD Classic 1-inch styler. As what numerous women have discovered, this one will really exceed your expectations. Be careful though as there are many fake GHD hair straighteners being sold online. It’s always a good idea to buy from a reputable store if you’re looking for the best flat irons. So…Which One Should You Buy? Now that you already have some idea as to which flat iron to buy, the next thing you need to do is to determine your budget and ask yourself what you really want out of your purchase. Some people are pretty content with buying a hair straightener that does a good job of giving them the hair style they want. Others are more concerned about whether the hair straightener will damage their hair or not. Some are more interested to know if a product is affordable. Then there are also those that want flat irons for hair that are durable and long-lasting. The good news is that with our list of the top rated hair straighteners, you are assured that all these products are effective, efficient, reasonably priced, durable and easy to use. Just take your pick.